OnePlus, the Chinese smartphone maker took to its official forum to tease the launch of its all new electric car, which will be ‘Powered by Warp Charge’. Well, the phone maker is looking to completely fool its audience by making people believe it is working on all-new electric car just before April Fool's Day. The message was posted on the forum by OnePlus co-founder Carl Pei. Ironically, the image looked pretty identical to Tesla Y. Apple iPhone 11 New Render Image Leaked Online; To Feature Dual Pop-Up Selfie Camera. 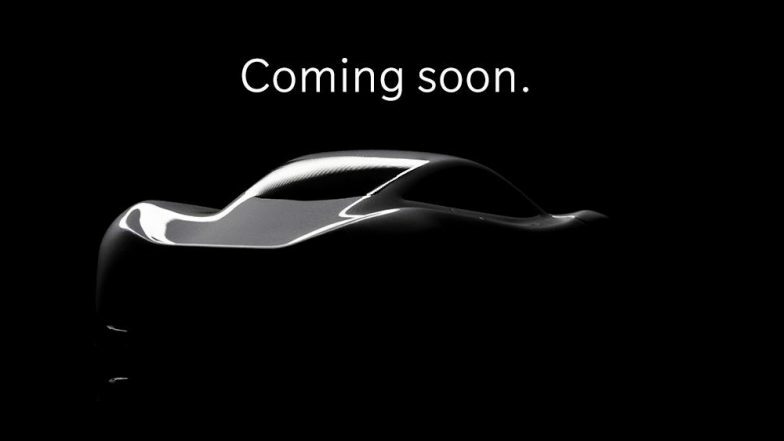 The company also took the entire electric car thing to another level by posting it out on Official Twitter handle. The text on the image pronounces - 'Yes We Do Cars Now'. As the fact that the phone maker has collaborated with Marcel to launch its special edition flagship device, it doesn't mean that the company will launch sports car. OnePlus 7 Render Images Leaked Online; Likely To Sport Three New Gradient Colours. Talking about real things, a new Weibo post emerged online wherein OnePlus box can be seen under the Red Coloured cloth. Moreover, the text on the image reads April 1st. So, it is speculated that the phone maker will make some special announcements. It is believed that the company might announce the launch date of OnePlus 7, though there is no official confirmation from the company. April Fools' Day 2019 Pranks: From Ola Restroom to OnePlus' Electric Car, Here's How Top 5 Brands Tried to Fool Their Users. We have seen numerous render images in the past that hints the device will feature bezel-less display and popup selfie camera. Under the skin, there will be Qualcomm's newest chipset - Snapdragon 855 SoC. As of now, there are not many details available about the phone.